Ongoing performance check-ins are shaping the future of talent management. Held weekly between managers and their direct reports, these brief meetings – just 10 minutes or less – are used to track weekly goal progress, identify bottlenecks, and exchange feedback with the purpose of improving performance. While the benefits of ongoing performance check-ins have led companies like GE, Microsoft, and Adobe to adopt the practice, many HR teams are still in the dark about precisely how to approach the process. By finding out how top HR leaders are using check-ins, we can learn from their examples and find ways to implement them in our own organizations. Here’s how leading HR teams ace ongoing performance check-ins. For performance check-ins to work, managers must become comfortable with delivering feedback to employees more frequently. Unfortunately, it turns out many are uncomfortable with the process to begin with. A study conducted by Interact confirms more than one-third of managers (37%) are uncomfortable with providing direct feedback, while 69% say they’re uncomfortable communicating with employees in general. To provide their teams with valuable feedback, managers must have something against which they can measure employees’ performance. This is where goals come in. The first step in establishing any sort of ongoing performance check-in routine is to ensure all employees have clear, measureable goals to work towards. These goals – whether individual or shared among a team – should be aligned with your business strategy, too. Consider this: in a Zenger/Folkman poll, 72% of employees surveyed indicated their performance would improve with the right feedback. When HR trains managers to link employee goals with current business priorities and then provide targeted feedback to drive goal performance, the ability to accelerate results increases exponentially. Giving managers a list of questions to ask during check-ins can eliminate guesswork and ensure the right information is being exchanged. To get the most out of these brief sessions with their employees, have managers ask: What progress has been made on your goals since we last checked in? Are there any obstacles you’re facing, and how can I help? The Society for Human Resources Management (SHRM) cites a survey in which 64% of employees saw leaders who failed to seek input from their teams as the biggest workplace problem. In order to feel valued in their roles, employees need to be heard. The purpose of an ongoing performance check-ins should not be limited to giving feedback. Instead, managers should also invite input from their teams. In addition to gathering responses from the questions listed in the previous point, encourage managers to be more receptive to general input from employees. Check-ins should present a time and place in which direct reports feel welcome to voice their concerns, discuss weekly wins, and perhaps even share some new ideas. According to a ComPsych study, 31% of employees consider unclear expectations from supervisors to be the greatest source of stress in the workplace. Without clear expectations to guide them, employees simply can’t be expected to achieve the outcomes managers want from them. While employees should have a clear idea of their quarterly goals, they still need regular input from managers to stay focused on short-term priorities. For this reason, ensure managers are clarifying their expectations for the following week at the end of every check-in. In addition to touching base on the status of goals and clarifying expectations, managers should also use check-ins to deliver feedback. Given in a timely manner, feedback is much more effective for driving improvement than when given long after the event occurs. This, in fact, is one of the primary reasons ongoing performance check-ins were created. Yet, learning they’ll have to give feedback more often can be stress-inducing for managers. Constructive criticism can be particularly difficult to deliver. Nonetheless, it’s absolutely essential to achieving your overall objective, which is to improve employee performance. In fact, the Zenger/Folkman survey cited above found that a whopping majority of employees – 92% – think negative feedback helps to improve their performance, if it’s delivered in appropriate manner. Understand the context: Note the circumstances under which the behavior occurred. It will help the manager stay focused on performance itself, and not the employee as an individual. State what was observed: Being as objective as possible, encourage managers to describe the specific behavior they witnessed. Describe the results: Explain the effects of the employee’s actions, including any tolls it might take on others. If it’s arriving late to a meeting, for instance, the employee’s behavior could have caused an interruption. Clarify expectations: Wrap up the feedback by explaining what’s expected of the employee moving forward. Even with thorough training, busy managers can still benefit from some extra support in carrying out ongoing performance check-ins. Thus, many HR professionals are exploring ongoing feedback tools to give managers the ability to deliver timely feedback via real-time solutions such as pulse apps. By providing a way to access the feedback they’re seeking from any device or location and at any time, employers can better accommodate the needs and expectations of today’s workforce. It also gives managers a way to document feedback exchanges, which brings us to our next point. Certainly, giving and receiving feedback can strengthen the manager/employee relationship, which has its own unique benefits. 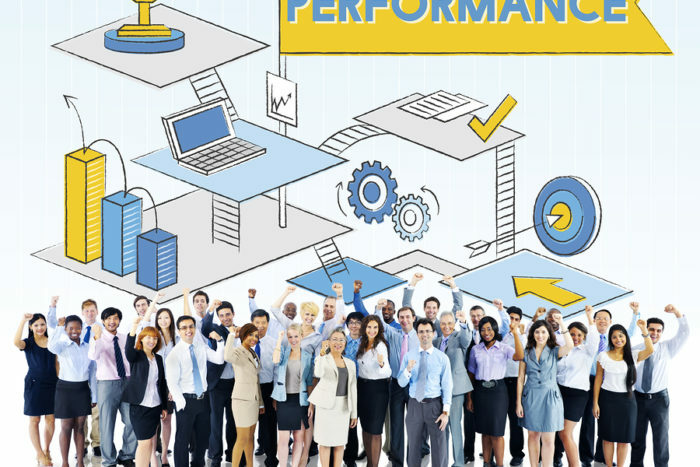 Yet, the real purpose of performance check-ins – which is, of course, to improve performance – is only achieved when that feedback is acted upon. For starters, this means that employees should be taking the coaching managers deliver and actually using it. When managers provide clear, direct feedback during their check-ins, employee performance should improve as a result. Keeping track of the exchanges shared both during one-on-one meetings and through feedback apps will help managers determine whether an employee is meeting, exceeding, or falling below expectations. These insights can help HR make more informed decisions about compensation and other aspects of the organization’s talent management strategy. However, keep in mind that feedback must be approached as a two-way exchange. It’s also therefore essential that managers are keeping notes of the insights they collect from employees during check-ins as well. If an employee is expressing interest in development opportunities, this should be addressed between HR and management when it comes time to consider developmental and/or succession planning. Ultimately, the information exchanged between managers and employees during ongoing performance check-ins is only beneficial when it’s put to use. Otherwise, they’re simply conversations. When the conversations are used to align employees with company goals, clarify expectations, and create a two-way dialogue in which employees feel like valuable contributors, that’s when performance check-ins are most powerful. Zorian Rotenberg is founder and CEO of Atiim Software, a SaaS-based provider of corporate goals and performance management tools. He previously was VP of sales and marketing at InsightSquared and earlier served as CMO of AppAssure Software, Inc. until it was acquired b Dell in 2012. Rotenberg graduated with high honors from Lehigh University in 1997 with a BS in Finance and with engineering and science minors in Applied Mathematics and Computer Science. He earned his MBA from Harvard Business School.